The 26-year-old half-Mexican/part-Spanish American singer and her Pentatonix group mates will be hitting the road this spring for their upcoming world tour, and they spilled all the details of what fans can expect in a new video, premiering exclusively on Billboard. In the clip, the five singers sit down with Live Nationto answer questions about the tour and get quizzed about their fellow bandmates. “A lot of new music!” Maldonado says of what to expect, while Scott Hoyingpromises “fun,” “choreo” and “belting” at each show. 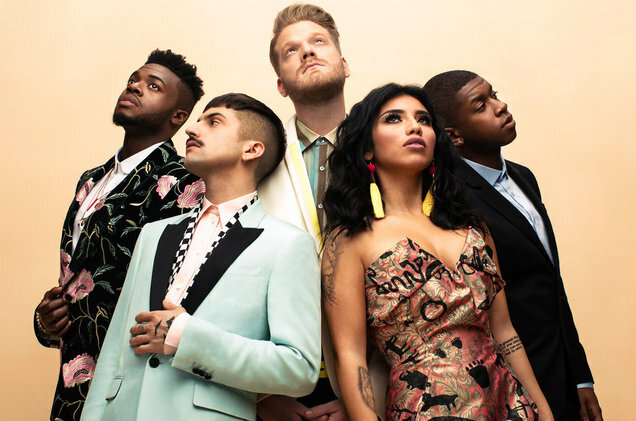 Next, the a cappella group plays a rapid-fire round of superlatives, naming which of their bandmates is the biggest prankster (Kirstin), the messiest (a toss-up) and always late (also Kirstin, though beatboxer Kevin Olusolapoints silently to himself). Another fun fact? If the band could change their name, original members Maldonado, Hoying and Mitch Grassiall agree it would be — wait for it — Fifth Harmony! The girl group may have announced their indefinite hiatus in March 2018, but it’s a good thing CamilaCabello & Co. laid claim to the moniker during The X Factor back in 2012. Pentatonix: The World Tourkicks off May 11 at the Oracle Arenain Oakland, California.